Rosie Danvers and Wired Strings have been in the studio with MNEK, the Grammy nominated British singer, songwriter and producer. They recorded two gloriously soulful tracks for his forthcoming solo debut album, due for release later in the year on Virgin. Strings Arranged by Rosie Danvers, Performed by Wired Strings, Produced by TommyD, Engineered by Nick Taylor, and Recorded at Air Edel, London, February 2014. 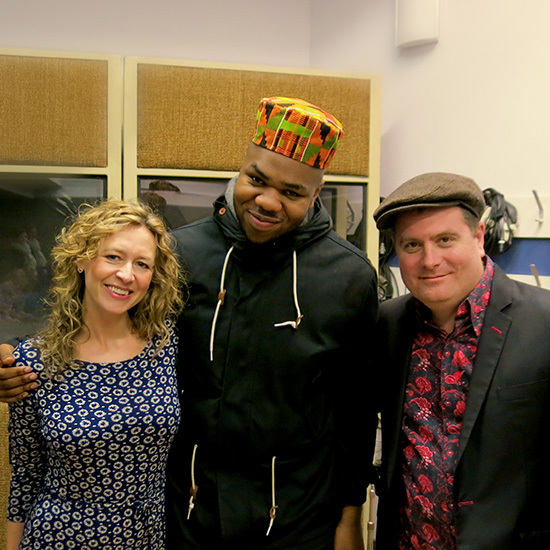 Arranger, Rosie Danvers with Producer TommyD and the incredibly talented MNEK at Air Edel, London.